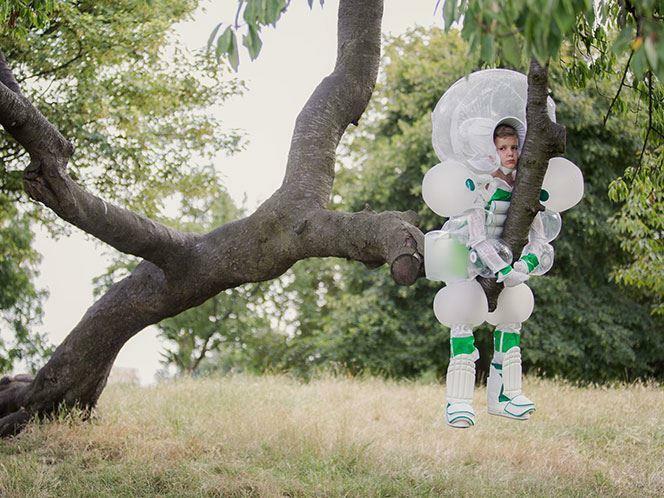 A safety suit that will protect your child from bumps and bruises has finally been created. But before parents rush out to buy one, this eye-catching outfit is actually part the campaign against 'cotton wool culture' - the need to over-protect children. As the school holidays begin, the nation's leading firstaid charity is calling for millions of parents across the country not to wrap their children in cotton wool this summer but learn first aid instead. They've launched the short film, 'Safety Suit', to send up this 'cotton wool culture', and encourage parents to pick up potentially life-saving skills online, so they can let their children play outside with peace of mind.